Blog Home > Fun and games > Would you employ this man??!! Thanks to swapmeetdave.com for the photograph. 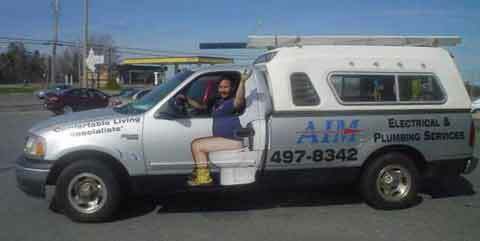 If you are a plumber would you fancy driving around with this on your van??! !